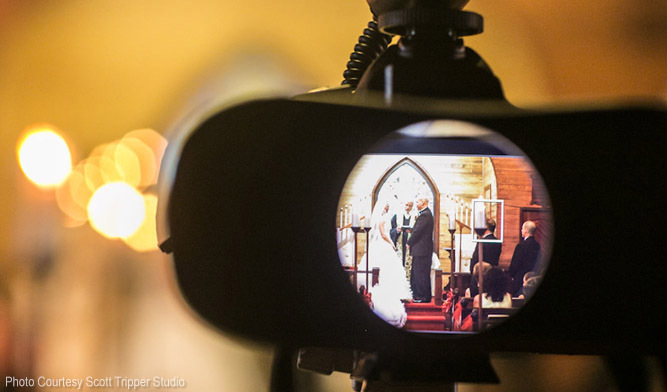 What Couples Should Be Looking for When Hiring a Wedding Videographer? In working with a wedding planner recently, she asked "what would you suggest couples look for when hiring a wedding videographer?" With the help of our experience plus contributions from a 8000+ members Wedding Videographers forum, here's a list that it is crucial in selecting a wedding videographer. Video service and photo service by two separate team. Do not hire company that offer both video and photo service done by one team. They will miss crucial video or photo moment because that one team can only take photo or video at one moment. Best to have video and photo service from the same company. But to make sure they are two separate teams. What's involve in the post editing process? How long it takes for the final film to be delivered? Is the videographer a "weekend videographer" or does it operate as a legitimate business. Who will show up filming the wedding. Will they assign a subcontractor to film the wedding. Meet with videographer to see if there's a personality match. Do they have passion in what they produce. For cultural weddings, it is best if the videographer knows and understands the ritual and language.